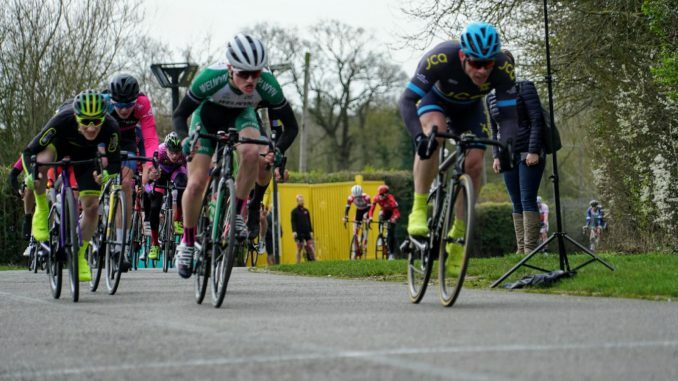 Plenty of Welwyn Wheelers weekend racing happened this weekend – in many flavours. This season’s HSBC National MTB XC Series kicked-off on Saturday at Sherwood Pines near Mansfield where Louis Sutton and Mark Lightfoot had their best National MTB results to date. Nathan Hardy won the East London Youth Circuit Series Youth A boys race after breaking away with another rider halfway through the race, before heading up to Manchester to compete in the supporting Youth Talent competition at the 6 day race that evening. The Storti brothers also had a double-dose of racing competing at Lee Valley and MK Bowl on the same day, with young Elijah picking up 4th in both his races. Elise Whitaker picked up an excellent 2nd place in the mixed U12 field. Earlier on that day Archie Peet came 2nd in the bunch gallop to finish 3rd in the MK Bowl March Circuit Series Cat 3/4 race. Rebecca Maynard was also spotted by our Internet results trawling – racing at Salt Ayre. A group of 4 youth track riders travelled to the Newport velodrome on Saturday to compete in round 3 of the Ice Breaker – renowned for its tough racing.